After reading Lauren Robinson’s fantastic blog post about the return of Mad Men, I found myself haunted by the destruction of the original Penn Station. And as I dug deeper, I discovered that this was a drama of almost mythic proportions; a classic tale of David and Goliath; big corporations against a rag-tag group of underdogs; and art versus profit. 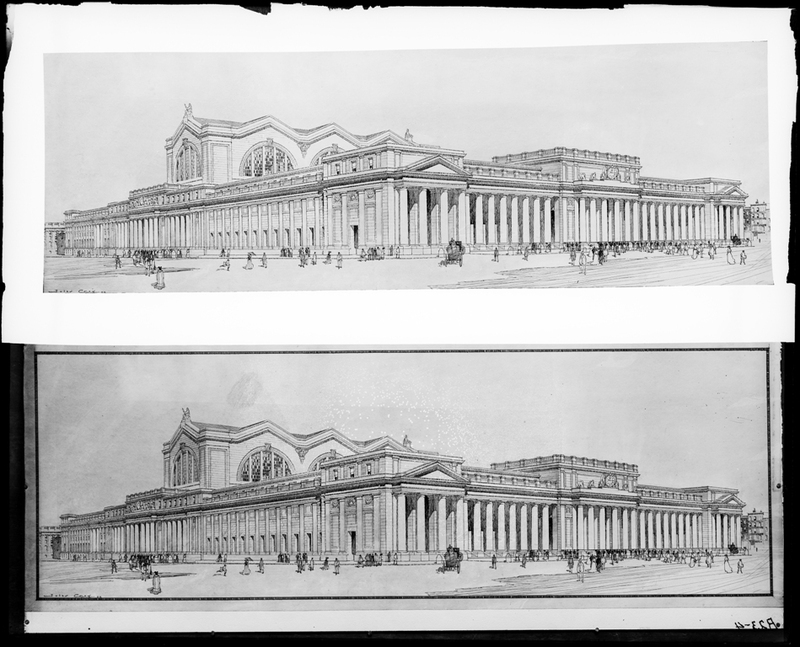 But first, the backstory: the original Pennsylvania Station was designed by Charles F. McKim, of McKim, Mead & White fame, the preeminent East Coast architectural firm of the Gilded Age. McKim’s designs drew heavily on classical architecture like the Roman Baths of Caracalla and the Brandenburg Gate in Berlin that elevated the mere activity of entering and leaving the city into a momentous occasion. McKim, Mead & White. Pennsylvania Station. 1905. Museum of the City of New York. 90.44.1.593. Penn Station was opened on September 8th, 1910, and its sheer scale immediately evoked a sense of awe. At the time it was completed, it was the largest building ever built (with the qualifier of “at one time”), and boasted the biggest waiting room in history. With 150-foot ceilings and natural light streaming through an iron and glass roof — how could one not think that they were somewhere magical? George P. Hall and Son. Interior of Pennsylvania Station. 1911. Museum of the City of New York. X2010.11.5113. Berenice Abbott (1898-1991). Pennsylvania Station. 1936. Museum of the City of New York. 43.131.1.216. Wide World Photos, Inc. Crowds in Pennsylvania Station. ca. 1920. Museum of the City of New York. X2010.11.5088. Yet only 50 years after it was opened, Penn Station was in trouble. The owners of the station, Pennsylvania Railroad, were broke. The station was falling into disrepair. Airplanes and automobiles had begun to eclipse rail travel. With all this, the nine-acre lot between 7th and 8th Avenues from 31st to 33rd Street was just far too valuable not to sell. Even the architecture had gone out of style. The opulence and grandeur that were so popular in the Gilded Age were seen as an ungainly relic compared to the modern architecture of the 1960s. This galvanized a group of five twenty-something architects calling themselves the Action Group for Better Architecture in New York, shortened to AGBANY, to organize a public protest against the demolition on August 21, 1962. From 5 to 7 P.M, they picketed in front of Penn Station carrying signs reading “Shame” and “Don’t Amputate — Renovate.” Reports vary that at least 150 people participated and soon organizations like the Municipal Arts Council joined the fight to save Penn Station. For the next year, the battle continued. Larger protests from city residents, however, didn’t come until it was too late. On October 28, 1963 at 9 A.M., as a light rain fell and picketers wearing black armbands watched silently, electric jackhammers began to destroy Penn Station. For the next three years, Penn Station was slowly demolished. The destruction was brutal and total; the station’s monumental ornamentation – 16-ton decorative eagles and the 84 Doric columns that made up the Seventh Avenue facade – were dumped unceremoniously into the marshlands of Secaucus, New Jersey. Aaron Rose. The demolition of Pennsylvania Station, 1964-1965. Museum of the City of New York. 01.30.79. Aaron Rose. The demolition of Pennsylvania Station, 1964-1965. Museum of the City of New York. 01.30.95. Aaron Rose. The demolition of Pennsylvania Station, 1964-1965. Museum of the City of New York. 01.30.117. As a direct result, on April 15, 1965, Mayor Robert Wagner signed the Landmark Law, which created the Landmarks Preservation Commission. For the first time there was an agency with government power to designate and even save historical buildings and neighborhoods. The legal ramification didn’t end there though. A year later, after growing countrywide preservation efforts, the National Historic Preservation Act was enacted, ensuring that other cities wouldn’t also have to lose a landmark to realize the importance of its preservation. For a detailed study of the demolition of Penn Station, check out The Fall and Rise of Pennsylvania Station. Changing Attitudes Toward Historic Preservation in New York City by Eric J. Plosky, found here. During the month of May, we’ll be posting more entries on historic preservation in the city. 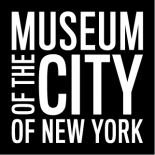 The Museum of the City of New York is competing for a $250,000 grant from Partners in Preservation, a joint program sponsored by American Express and the National Trust for Historic Preservation. The winner is determined by popular vote, and individuals may vote once a day through May 21st. Please help us by going to http://www.helpmcny.com/ and voting today. Very moving post. How sad that one generation’s treasure is another generation’s trash… especially when there’s money to made. So much of what NYU has done in and to the Village will, I believe, someday be seen in the same light of regret. The destruction (except for a token element) of the Edgar Alan Poe House, The Provincetown Playhouse, the ruin of many splendid interiors of houses on Washington Sq. North and in the East Village, all of it should’ve been stopped. That fact that it was done by an institution of allegedly higher learning makes it all the more obscene. The destruction of Penn Station is one of those delicious historical events that is both a tragedy and a triumph. It was terrible to lose that building, but because we lost it we saved hundreds of others. Pingback: Modernisation in favour of tourism | Modernisation or Conservation? This entry was posted on May 8, 2012 by Susannah Broyles in Digital Project, Photo Archive, Photography Collection and tagged Aaron Rose, Demolition, Historical Preservation, Landmarks Preservation Commission, McKim Mead & White, Pennsylvania Station.